The Discmania PDx, a long-time collector treat due to it's dedicated nature for the Disc Golf World Tour fundraising, joins the Discmania stock selection thanks to popular demand by players around the world! 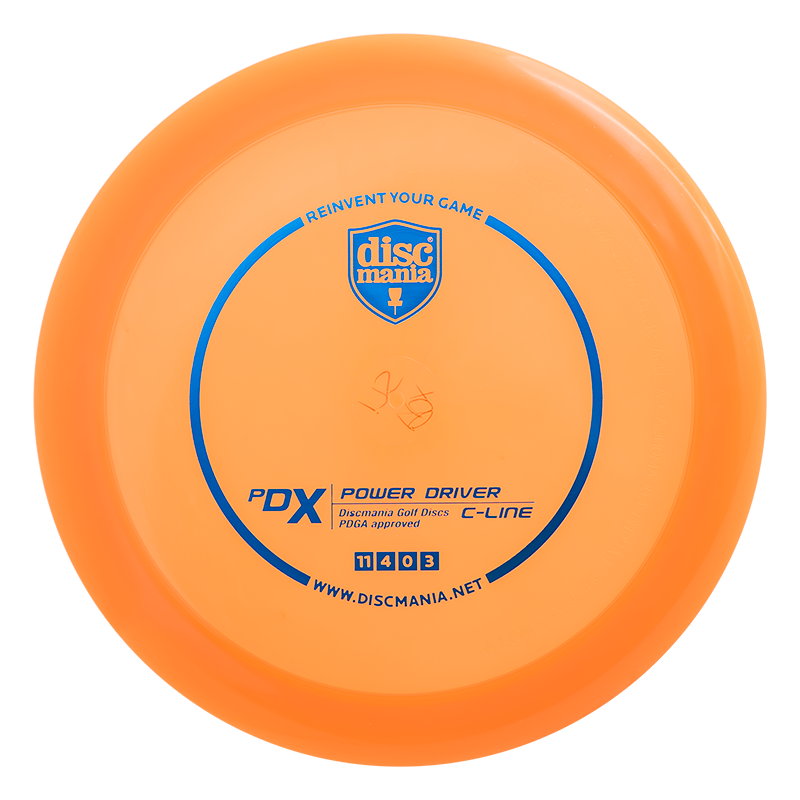 PDx brings together the best of two worlds: The speed and overstability of Discmania’s meat hook driver PD2 and the controllability and versatility of Discmania’s possibly best known all-around pro-level driver, the PD. The PDx is the perfect hybrid of these two crowd favourites. With the flight numbers 11, 4, 0, 3, the PDx is designed to perform reliably in all wind conditions both backhand and sidearm. It has an extra click of speed compared to the original PD and the base of its design comes from the highly praised first run of the C-line PD. Reinvent your game with the PDx today! type wears very slowly and provides a good grip for both backhand and sidearm.